Machines that spit out objects at the touch of a button. Robots that do our work for us. These concepts have long been the stuff of science fiction and Sunday morning cartoons—things the Jetsons took for granted but were out of our grasp. Today, innovators are changing this paradigm by creating new technologies aimed at ever increasing efficiency. DPR is embracing this paradigm shift through its use of prefabrication, but not in the old cookie-cutter fashion. 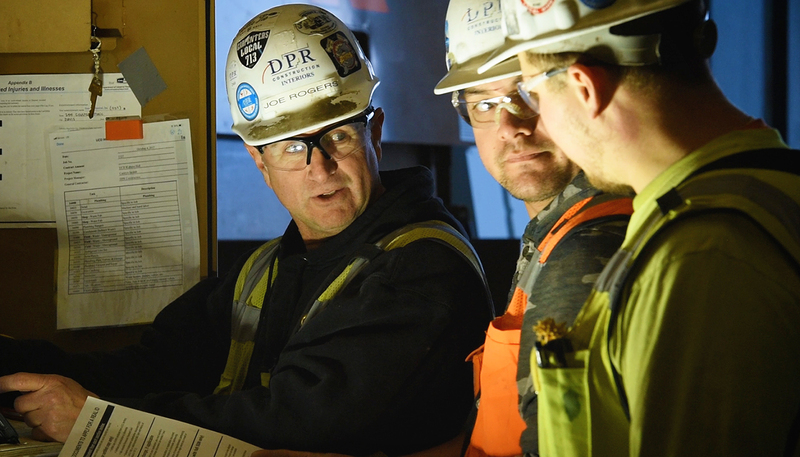 By using strategic partner Digital Building Components to transform computer models into precise-to-spec building assemblies, DPR uses prefab technology to create significant cost and schedule savings for clients, as well as improved safety and quality onsite. DPR’s self-perform corps is on the front lines of this movement. 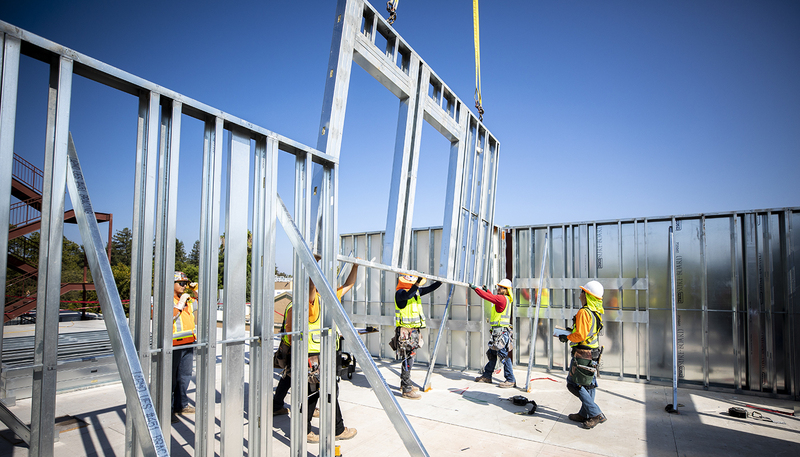 Joe Rogers, lead foreman on DPR’s SPW crew at the University of California Davis’s Webster Hall dormitory replacement, gets to see this firsthand as he and his team manage the install of fully custom, prefabricated panels on the 101,000-sq.-ft, four-story structure. Q: What is your role at DPR and describe the path you took to get there? Rogers: I’ve been working for DPR in Redwood City for the past four years, but I’ve been in construction since 1989. I’ve seen the industry change a lot for the better. I started out as a stocker and scrapper right out of high school. Then, I was offered an apprenticeship and worked my way up. I had heard about how good DPR was, so I reached out to them and they hired me on the spot. Rogers: Honestly, I like all types. What I really like is that I’m not always on the same job or in the same place all the time. I get to meet different people and personalities on each project. I get to interact with other trades—we’re all working together. It’s never the same. I could be doing a hospital one year and a tenant improvement project the next. One thing about DPR, we have a lot of good people. Everyone communicates. Everyone gets to contribute to the success of the company. Q: What’s the most technical thing you’ve worked on? Rogers: Right now, I’m working on a four-story dorm with custom prefabricated panels. It’s pretty much one-of-a-kind; it’s 100% prefab. For this type of job, you have to follow all of the details exactly, right down to each individual screw, so there’s a lot of planning involved. Digital Building Components custom makes the prefabricated panels according to the plan model—they’re made robotically. They’re numbered and labeled, so I think of it as being kind of like a puzzle. The team really had to plan ahead, to discuss the flow and how to best stock, move and install. There’s a lot of collaboration between everyone. We’re shaping the best practices and constantly moving forward. We’re leaders out here. Q: How have you grown since you started here? Rogers: My DPR family has really helped me since I first started. This is the first company I’ve worked for that’s done BIM modeling and uses iPads and spool sheets, which are basically printouts of the length of the wall with the stud placement showing. DPR has helped me all the way throughout the process. They didn’t just throw me out there. I’m learning the new techniques that DPR already has in place and pushing them forward to always be better. And I want to do a good job because they have confidence in me. Rogers: Planning! You need to be prepared to look out ahead for possible issues. You do your best to plan for everything, but there’s always the chance that there’ll be a hiccup. You just have to plan as much as you can, deal with hiccups, move on and try to be as efficient as you can. It’s also important to keep taking any training opportunities that come your way. DPR is excellent at keeping up to date with new ways of doing things, and at giving you any training you need. When I first joined, I didn’t know the technology stuff, but everybody on the team helped me and showed me how to use the technology. 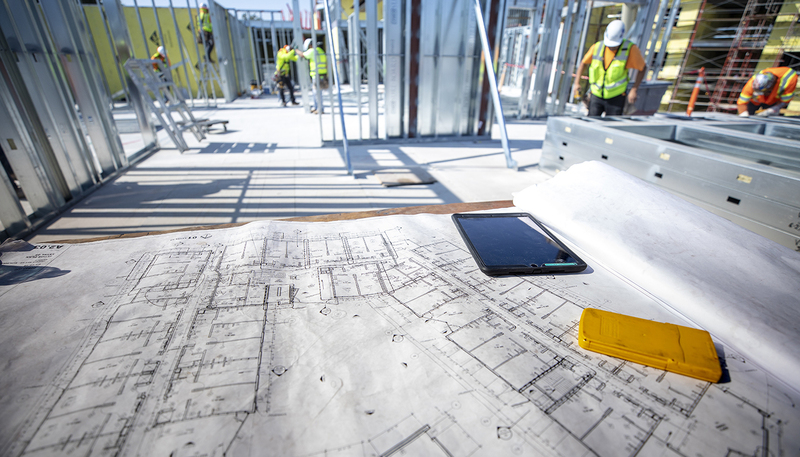 Q: What would your advice be for the next generation of builders entering this field? Rogers: For the younger generation, just always do your best. Don’t worry about what the other person is doing or thinking. Keep your focus on what you want, on what you want to do in the future. 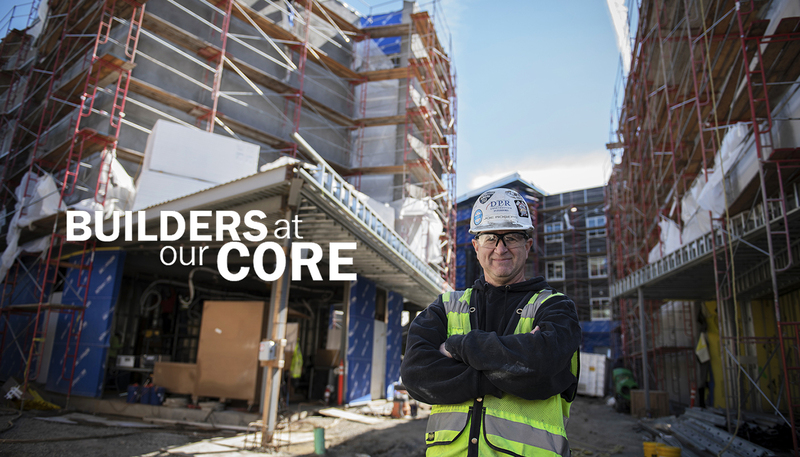 With an eye to the future and a drive to push himself ever forward, Joe Rogers embodies DPR’s purpose—building greatness within himself and utilizing it to build great buildings for his customers.